ACCUPLACER® is a suite of computerized tests that determines your knowledge in math, reading and writing. Over 1,500 institutions administer ACCUPLACER tests as part of the enrollment process. These tests help identify your strengths and needs in each subject area. ACCUPLACER’s interactive online learning tools are available to help you sharpen your skills. Academic advisors should inform of whether you are required to take this assessment. See test preparation resources and additional ACCUPLACER information. Prior to the summer of 2018, ALEKS was the primary tool used to appropriately place students into introductory math courses. Beginning in the summer of 2018, however, FIU has adopted a new math placement model (MPM version 1.0) that replaces ALEKS as the primary placement tool. The MPM, considers, among others, three key variables for predicting the highest course in which a student might be successful. The most significant predictor variables were determined to be, in order, (1) unweighted overall high school GPA, (2) SAT Quantitative/ACT Math score, and (3) the difficulty of the highest level high school math course in which students enrolled. For some students however, it may still be necessary for them to take the ALEKS. Unlike the new, math placement model, ALEKS is a web-based, artificially intelligent system that uses adaptive questioning to determine exactly what a student knows, doesn’t know, and is most ready to learn. For those for whom the ALEKS remains necessary, detailed information is provided below. Where and how do I sign up to take the assessment? Please Note: All students are required to pay the $15 ALEKS fee each time the exam is taken regardless of attempt (first, second, third etc.) Make sure that you have a valid credit /debit card, or access to a valid card’s information with you. Visit the official ALEKS website. Arrive at the University Testing Center ten minutes before your scheduled time. You will be asked to pay the ALEKS assessment fee ($15) directly to ALEKS corporation before you can begin. Make sure that you have a valid credit /debit card, or access to a valid card’s information with you. What can I expect on the assessment? This is a math assessment, so make sure that you have plenty of paper on which to write. You do not need a calculator. If a question requires use of a calculator, one will appear on your screen. Before you start the assessment, a short tutorial is provided to familiarize you with the ALEKS toolbar. The assessment will consist of about 30 open-ended questions, with varying degrees of difficulty. You will not know whether your answer is correct or not. Your answers determine what questions you are asked next, as ALEKS probes the depth of your knowledge. Because of the adaptive nature of the assessment, you will not be permitted to go back to change your answers. Therefore, try to answer the questions to the best of your ability. You should answer “I don’t know” only if you truly do not know the answer. How long does the assessment take? Is there a time limit? On average, the assessment takes about 90 minutes. You will have 2 hours and 30 minutes. The assessment should be completed in one sitting, so plan accordingly. The time starts when you begin the assessment. After 2 hours 30 minutes, the assessment will close and you will be assigned the score earned at that time. If you are not happy with that score, you can retake the assessment after 24 hours have elapsed. How do I find out my ALEKS score? Your ALEKS score appears after you complete the assessment. You will see a pie chart showing your performance in different areas represented by color-keyed slices. The darker color in each slice represents your mastery level. Above the pie, you will see, under Course Mastery, the number of topics in which you did well. At the bottom of this page, under the History tab, you will see a table that contains, among other things, the Assessment Performance Goal which is your ALEKS score. Your ALEKS score will be available to your advisor within 24-48 hours. If you need it sooner, please print the results. What does my score mean? What class am I eligible for? Your score shows the level of your math preparedness and as such can be used to help you choose a class in which you are likely to succeed. If you take a class for which you don’t have required prerequisites, your chances of passing are greatly diminished. ALEKS placement assessment evaluates your knowledge and indicates the class level in which you can be successful. It is always recommended that you discuss your ALEKS score with your advisor. Can I take the assessment more than once? Yes. You can take the assessment as many times as you want. Every attempt has to be taken at the University Testing Center (one attempt per day). Please visit University Testing for available dates and times. Each attempt costs $15 and is payable directly to the ALEKS corporation. Learning Modules subscriptions can be purchased directly from the official ALEKS website. Will the score appear on my transcript? No, the score will be available to your advisor and used only to place you in a class in which you are most likely to succeed. Is there any additional proctoring fee to take the exam? If you take the exam at one of FIU’s testing centers, (GL 120 MMC or ACI-160 BBC), the $10 proctoring fee will be waived. You will still be responsible for the $15 ALEKS fee. If in the rare event you require remote proctoring, you may use ProctorU for example. ProctorU’s charges will apply in addition to the $15 ALEKS fee. Beginning in the 2018-2019 school year and thereafter, all first-time-in-college (FTIC) baccalaureate seeking students entering a State University System (SUS) institution must demonstrate civic literacy by satisfying the State of Florida’s, civic literacy requirement. Students at Florida International University may take the Florida Civic Literacy Test (CIV 2222) and achieve a minimum score of 60, as an option, to satisfy the requirement. CIV 2222 will be proctored and administered through the University Testing Centers at MMC and BBC. This test will be offered to FIU students free of charge on specified dates each semester. Students who choose to test outside of the designated dates may test on a walk-in basis; however, walk-ins are subject to availability. Register to take the CIV 2222 – Florida Civic Literacy Test at FIU. 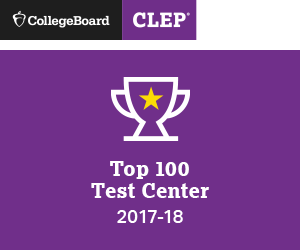 The College-Level Examination Program® or CLEP provides students of any age with the opportunity to demonstrate college-level achievement through a program of exams in undergraduate college courses. There are 2,900 colleges, including FIU, that grant credit and/or advanced standing for CLEP exams. Appointments for the CLEP are available regularly throughout the semester. The cost of the examination is $120 (this includes an $87 testing fee and a $33 registration fee). Credit earned through CLEP examination will reflect as lower division transfer credit. While CLEP credits may be used to fulfill requirements, they will NOT increase the total counting towards graduation if you are already receiving the maximum number of lower division transfer credits allowed by your academic major. If you are a senior in your last 30 credits at FIU, you must discuss the transfer of CLEP credits with your academic department. A series of free, online, prep courses in select CLEP subjects is now available through the Modern States Education Alliance. These courses are taught by college professors and delivered online via the Modern States Website. All the courses are free, as are any required textbooks and other materials. The CLEP-PREP courses are self-paced, and there are no prerequisites or restrictions on enrolling. Participants do not have to register for a CLEP exam, however, to earn college credit upon completion of the course, participants must take the corresponding exam and achieve a qualifying score (CLEP-notes, 2016). Always consult with your Academic Advisor prior to taking a CLEP exam. A prep course for every CLEP exam is now available. Any individual who is seeking college credit for knowledge gained outside the traditional classroom can attempt DSST exams. In addition to the considerable cost savings realized by college students, adult learners, high school students or military personnel, successfully completed DSST exams allow students to significantly accelerate their academic goals toward degree completion. Get more information on DSST course equivalencies and credit-by-exam tables. Get more detailed information about the DSST program, including access to online practice exams. View DSST exam content outlines and sample questions. DSST exams enable military personnel to advance their educational and academic goals even while in the service. At Florida International University, as a Fully Funded DSST Test Center, eligible military members and eligible spouses are able to have the Test Center sitting fee waived (first attempt only) for any of the given DSST exams. Complete a first-time registration including user name and password by visiting the DSST website. Identify the four-digit code for the college where you want your score to be sent. You will need it on the day that you take your exam. Contact the Biscayne Bay Campus testing center at 305-919-4043 or 305-919-4044, or contact the Modesto Maidique Campus testing center at 305-348-2441 to complete the registration process. The University Testing Center (FIUTC) has partnered with Brigham Young University (BYU) to offer online tests for many languages, including Haitian Creole and Russian. All tests have a listening, reading and grammar component and cover the equivalent of the first three semesters of a given language. The tests are multiple-choice. All tests are on a pass/fail basis. Students are allowed two and a half hours to complete their test. IMPORTANT – A passing score on the FLATS exam satisfies ONLY the Foreign Language requirement milestone at FIU. The FLATS exam will NOT grant credit hours of any kind at Florida International University. The test fee consists of $50 payable to BYU (FLATS) and an administrative fee of $50 to FIU. In order to register for a test with FLATS please follow the instructions below. Go to the Foreign Language Achievement Testing Service (FLATS) website. At the top of the page click on “Online Tests”. Click on “Register for a Test”. For “Proctor Information” please input the following (depending on your choice of FIU campus). For “Results Sent To” please input the following. Should you need any further assistance with registering for the test, please contact BYU (FLATS) at (801) 422-3512. The Florida Certification Board (FCB) offers programs for health and human services professions. FCB certifies and ensures that professionals in the child welfare, mental health, and addiction fields meet current education, training, experience, and testing criteria. The Health Education Systems, Inc. (HESI) Admission Assessment (A2) includes four major categories: English language, math, science and personality. There are seven academic subjects and two personality evaluations. The HESI A2 is offered on computer at various times during the semester. A $54 test fee is required upon registration. If you are applying to the FIU Nicole Wertheim College of Nursing and Health Sciences, you must consult with an academic advisor to determine whether you are required to take the HESI A2 for admission to your program. The Law School Admission Test (LSAT) is a half-day, standardized test. It is an integral part of the law school admission process in the United States, Canada, and a growing number of other countries. It provides a standard measure of acquired reading and verbal reasoning skills that law schools can use as one of several factors in assessing applicants. The test consists of five 35-minute sections of multiple-choice questions and a 35-minute writing sample response at the end. LSAC does not score the writing sample, but copies of the writing sample are sent to all law schools to which you apply. View test preparation resources and additional LSAT information. Microsoft Office Specialist (MOS) 2016 provides students and professionals industry-leading assessments of skills, knowledge, and understanding of Microsoft Office. Students who become MOS certified are better prepared for college and career success. Visit the Certiport Website before your test day to complete a first time registration, choose an exam, and pay for the Microsoft certification exam. On the day of your appointment bring the payment voucher to the FIU Testing Center. Register to take an MOS exam at the FIU Testing Center. For individuals interested in technology careers, Microsoft Technology Associate (MTA) certification is an entry-level credential through which one’s proficiency in fundamental technology skills are validated. The three primary areas of MTA are Developer, Database, and IT Professional. View more information on the Microsoft Technology Associate exams. Register to take an MTA exam at the FIU Testing Center. Register for the exam on the official site. The Postsecondary Education Readiness Test (PERT) is Florida’s customized common placement test. The purpose of the test is to determine accurate course placement based on the student’s skills and abilities. The PERT is aligned with the Postsecondary Readiness Competencies identified by Florida faculty as necessary for success in entry-level college credit coursework. The PERT assessment system includes Placement and Diagnostic tests in mathematics, reading and writing. View test preparation resources and additional SAT information. An assessment of graduating seniors is being conducted at FIU in order to measure the effect of the University’s efforts to support student success. It will provide important feedback that will be used to improve the value of an FIU degree. This initiative is part of the state-mandated participation in the Voluntary System of Accountability (VSA) and the quality improvement/global learning initiatives from the SACS reaffirmation of accreditation process. FIU’s assessment instruments are the ETS Proficiency Profile, Case Response and Global Perspectives Inventory. The results of these assessments do not affect individual students. Scores are reported collectively and are used as a tool to understand the educational needs of our students, identify their global awareness and improve curricula and the learning experience at FIU. Eligible students will be prompted to complete the assessment upon the completion of the graduation application. If you have been prompted, you may take the Senior Assessment. For additional information contact the University Testing Center. The TEAS is offered on computer at various times during the semester. A $90 test fee is required upon registration. If you are applying to the FIU Nicole Wertheim College of Nursing and Health Sciences, you must consult with an academic advisor to determine whether you are required to take the TEAS for admission to your program.